ShutterstockThe damage to a rental that could threaten you security deposit -- or worse -- doesn't have to be intentional. Moving to a new place comes with a lot of costs, not least of which is the security deposit. Often, it means paying double your rent, which no one enjoys, and you can only hope you get some of it back when you move out. At the same time, deposits are helpful later on, because you'll likely do some damage when you're a tenant, and the landlord can make repairs using your security deposit. Unfortunately, that deposit sometimes isn't enough: If you're not paying attention during your housing transition, you could find yourself in a nasty financial situation. What Is 'Wear & Tear'? : If you've ever signed a lease, you're likely familiar with the part of most agreements that says the landlord expects wear and tear. Sometimes, tenants won't be liable for repairs resulting from wear and tear, or the landlord will use a small portion of the security deposit to cover them. 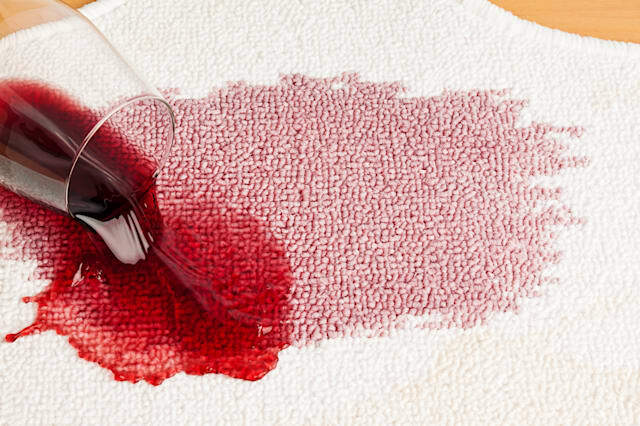 "On carpet, you're going to have a wear pattern where people walk the most, but if you have a Kool-Aid stain, that's not wear and tear," she said. "Wear and tear on paint may be where you have furniture that rubbed against the wall." At the same time, it doesn't have to be deliberate to be damage. You probably didn't ask your kids to draw on the walls or let your dog chew on the carpet, but if those things happen while you're not watching and you couldn't fix the problem yourself, you're probably going to get charged for it. "Accidents are going to happen," Johnson said, "and someone has to be responsible for it." When to Come Clean About Damage: Check your lease and see if there's anything in it about how your landlord wants you to handle damage. If there's nothing specific, it's up to you how to proceed. If the problem could get worse, it's a good idea to address it immediately and prevent further, more costly damage. On the other hand, stained carpet isn't going anywhere. In fact, if you replace it right away, you could end up damaging the new carpet and having to pay to replace it again. Johnson said she preferred to know about damage as soon as possible, which is an understandable position for a property manager. Thomas Simeone, an attorney who specializes in landlord-tenant issues, said it could be in your best interest to wait till you're moving out, take note of all the damage and see what happens. In either case, you should document everything, which is extremely simple these days. The vast majority of cellphones are equipped with digital cameras, which likely take video as well, so take pictures of anything you mess up. Ideally, you should take pictures of the place when you move in and make a record of pre-existing conditions so you don't get charged for something you didn't do, but even if you don't have a before-and-after comparison, you should keep detailed documents on the condition of the place when you move out. "If something breaks, and it's not your fault, and you don't want to be held responsible, tell your landlord immediately," Simeone said. "Short of that, from the legal point of view, it's in the tenant's best interest to document and then wait." Be Prepared to Pay: Check your local landlord-tenant laws. Some jurisdictions mandate landlords give tenants an itemized list of damages within 30 days of the lease ending, otherwise the tenant doesn't have to pay for them, Simeone said. You may get lucky and the landlord just won't charge you for damage, but no matter what, look out for correspondence from your landlord after you move out. If damages exceed your security deposit and you get a bill to cover them, do not ignore it. Failing to swiftly deal with the charges may lead your landlord to send the bill to a collection agency, and a collection account will have a negative impact on your credit standing. If that happens, make sure you know your rights when dealing with debt collectors and how the process will affect your credit going forward. To expedite the process, you may want to have an independent contractor come in and provide estimates for damage repair. "If you really think the landlord's going to charge you for stuff, get an estimate yourself and have that in your pocket," Simeone said. That gives you negotiating power if you think the bill is too high. DIY repair probably isn't the best course of action, in most cases. You may think it's cheaper to cover up the damages yourself, but unless you do a fantastic job, your landlord will probably want you to pay for a professional to re-do whatever you did. Johnson said people in her properties often try to patch up walls on their own, and she almost always needs professionals to repaint after DIY-repair attempts. It's especially important to review your credit reports after you move, because there's a chance a letter from your landlord may not get to your new place. Ask the landlord to contact you by phone or email if possible, and if you see a collection account pop up on your credit report, look into it ASAP. Many credit scoring models consider collection accounts negative whether they're paid or unpaid, so you'll want to avoid them if you can.